Land on our custom Chocolate Australia Map in either Dark, milk or white Chocolate. Ever wondered what The Land Down Under might taste like as a fun sized treat? Well now you can, with a custom Chocolate Australia Map that comes in 3 delectable flavours. Fast Confectionery will provide you with that experience while simultaneously giving you the opportunity to promote your own global brand. Share these sweets on your upcoming investors’ meeting or your next foreign clients’ visit. And you are guaranteed a sweet experience. 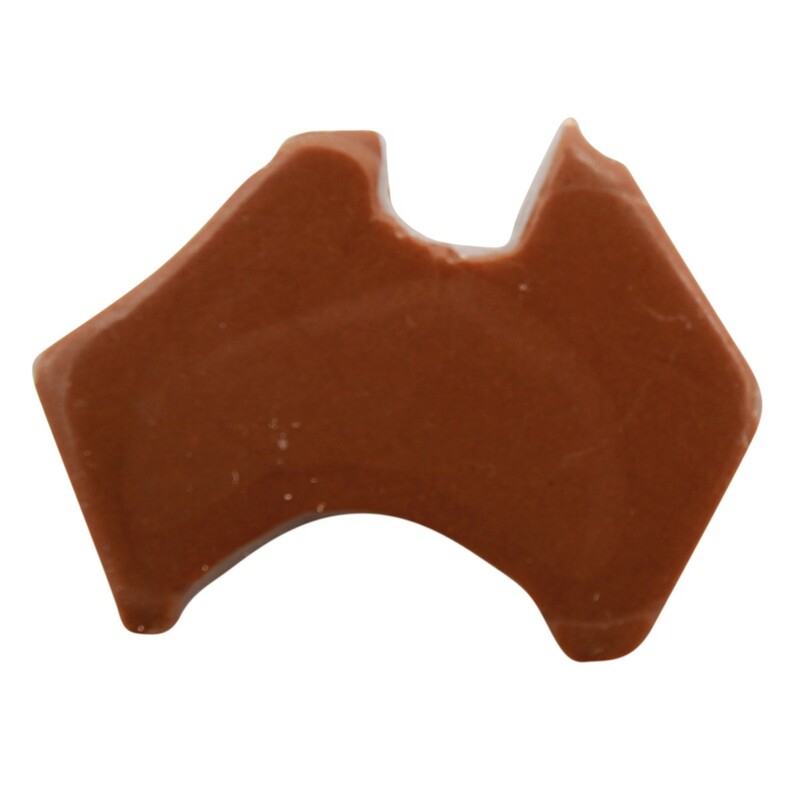 Slap your company logo on one of these 7g promotional Chocolate Australia Map sweets and choose from packs of 50 up to 5000 pieces so you can not only promote your brand but also the country. And as impressed your global clients are with your brand, they will also be impressed by the Fast Confectionery guarantee of our product’s chocolate goodness. These printed Chocolate Australia Map treats are packaged in a clear cello bag with a full colour sticker of your own choosing so your brand makes an initial impact. And upon unravelling these treats, your choice of dark, milk or white Chocolate seals the deal. Let these playful chocolate shapes be the star of these meetings. For a full experience and a lasting impression, pair these branded Chocolate Australia Map goodies with other quirky chocolate shapes including ones for a specific occasion or event by checking out our customised Standard Moulded Chocolate page. You have investors from France? We have Eiffel Tower shaped treats! Christmas Party client visit? We have Chocolate Santa! And for an even more memorable event, consider Fast Balloons that can also provide customized 90cm Balloons that can liven the place from its selection of colors and looming presence. An entertained client is a happy client! You have questions? We have answers! And our team will be more than happy to provide your company anything you want personalized. Just drop a line at 1300 008 300. We will be waiting!